The purpose of this study was to examine how social models for smoking are related to smoking susceptibility among a sample of non-smoking elementary school students. The Tobacco Module of the School Health Action, Planning and Evaluation System (SHAPES) was administered to 6,431 students (grades 6 to 8) in 57 elementary schools in the province of Ontario, Canada. Multi-level logistic regression analysis was used to examine how smoking friends, parents, and the prevalence of smoking among grade 8 students at a school were related to smoking susceptibility among the 2,478 non-smoking grade 6 and 7 students. Findings indicate that non-smoking grade 6 and 7 students are more likely to be susceptible to smoking if they have (a) smoking friends, (b) a mother who smokes, or (c) two or more close friends who smoke and attend a school with a relatively high smoking rate among the grade 8 students. Sub-populations of non-smoking youth may be at increased risk for smoking because of the elementary school they attend. 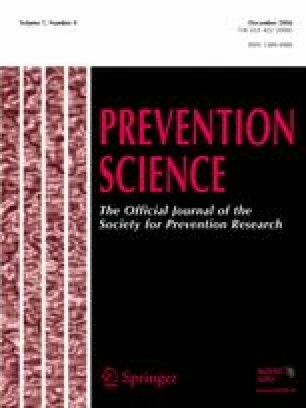 Future school-based smoking prevention programs might benefit from targeting prevention programming activities to the schools that are putting students at the greatest risk for smoking. The authors would like to thank the National Cancer Institute of Canada (NCIC), the Canadian Cancer Society (CCS), the Centre for Behavioural Research and Program Evaluation (CBRPE), and the Ontario Tobacco Research Unit (OTRU) for providing financial support for this project.